Gagnon, Annie Joan. "Lhasa de Sela". The Canadian Encyclopedia, 06 July 2018, Historica Canada. https://www.thecanadianencyclopedia.ca/en/article/lhasa-de-sela. Accessed 25 April 2019. 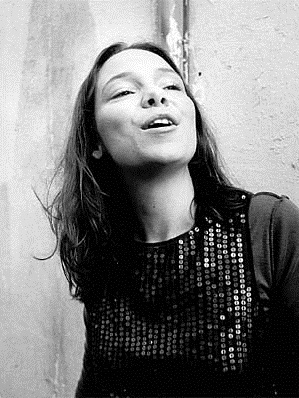 Lhasa de Sela, author, singer, songwriter, film director, musical director and painter (born 27 September 1972 in Big Indian, United States; died 1 January 2010, in Montreal, Quebec). A major influence on the world music repertoire, she charmed an entire generation with her charisma and her deep voice, which she deployed in a wide range of languages, dialects and new sonorities. In 1998, her first album, La Llorona, won her the Juno Award for Best Global Album of the Year as well as a Juno nomination for Best New Solo Artist of the Year. In 2004, her album The Living Road was nominated for the Juno for World Music Album of the Year, and in 2006, her video for the song “Con Toda Palabra” was nominated for the Juno for Video of the Year. In 2005, she received the award for Best World Music Artist of the Americas from the BBC. 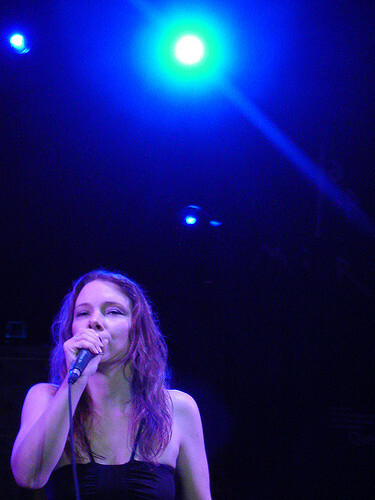 Lhasa de Sela was born on 27 September 1972, in Big Indian, a hamlet in the Town of Shandaken, in Ulster County, in the Catskill Mountains, in New York, USA. Her mother, Alexandra Karam, is an American photographer and actor. (Lhasa is named after the capital of Tibet, because when she was born, her mother had been deeply immersed in reading The Tibetan Book of the Dead.) Lhasa’s father, Alejandro Sela, is a Mexican-born author and teacher of Spanish language and literature. Neither of Lhasa’s parents has any brothers or sisters; both of them come from families with multiple backgrounds, including Lebanese, Polish and Panamanian. From the time she was two months old, Lhasa and her three sisters (Sky, Ayin and Miriam) travelled back and forth across the United States and Mexico with their parents on the family bus. For seven years, their father did odd jobs while their mother home-schooled her daughters and stimulated their imaginations. The family spent some of this time living in a Catholic religious community in Mexico, where Lhasa attended church every day and received the Catholic sacraments. The call of music was very strong. At age 13, Lhasa began singing jazz standards and Billie Holiday songs at a Greek café in San Francisco. With a teacher’s help, she learned the fundamentals of jazz singing, as well as to “respect the text”, and developed a revelatory presence as a singer. At age 18, Lhasa enrolled at St. John’s College in Santa Fe, New Mexico, where she studied modern languages and ancient Greek, but eventually she dropped out. In 1991, she moved to Montreal, where her sisters were studying acrobatics and circus arts. There she worked as a server at the Maison de la Culture Mondiale and at the pub L’Barouf. But bit by bit, she began singing in bars, where her repertoire often included bossa nova (a type of Brazilian dance music) and traditional Mexican songs. She also sang many songs by the group Bratsch, whom she had discovered during her first summer in Montreal and admired tremendously, and with whom she got the chance to play years later in Paris, on the stage of the Bataclan. But it was thanks to Lhasa’s encounter with Montreal multi-instrumentalist, lyricist and composer Yves Desrosiers that her career as a singer really began. She met him through a mutual friend at a performance by Canadian jazz singer/songwriter Térez Montcalm. 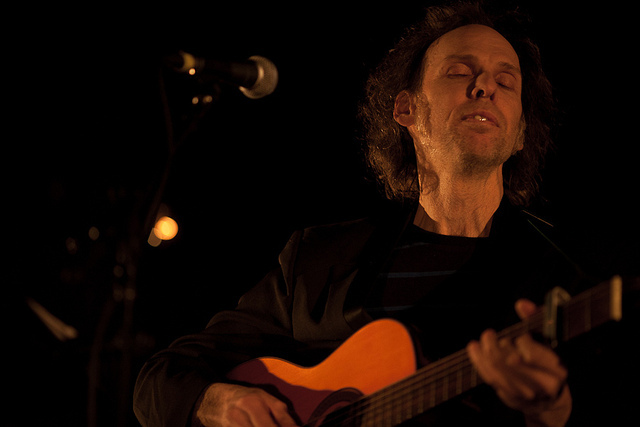 At the time, Lhasa did not speak much French, and Desrosiers was already well established on the Montreal music scene, playing with famous Quebec singer/songwriter Jean Leloup as a member of his group, La Sale Affaire. One year later, Lhasa met Desrosiers again, by chance, while sitting at a sidewalk café, and told him about her desire to sing professionally. They exchanged contact information, and an artistic partnership was born. With a little help from friends such as drummer and percussionist François Lalonde, bassist Mario Légaré, guitarist Rick Haworth and accordionist Didier Dumoutier, Lhasa and Desrosiers worked on their project for about five years before landing a recording contract. During this time, they performed their music at various bars in Montreal’s Plateau district. 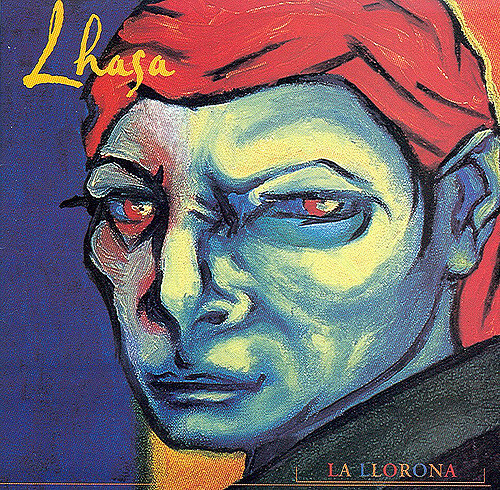 Written in the dead of winter, Lhasa’s first album, La Llorona (meaning, “she who cries”) refers to a female character in Aztec legend who bewitched men with her mournful songs, enticing them to join her on a riverbank where her kisses turned them into stone. The album was released on 4 February 1997, containing songs in English (Lhasa’s mother tongue) as well as Spanish and French, and became known mainly by word of mouth. Despite this, La Llorona became a phenomenal success. It went gold in Canada in February 1998, with 50,000 copies sold, and platinum in 2004. It represented Quebec in the “Discoveries” series at the Printemps de Bourges music festival in France. La Llonora also earned Lhasa the Félix Award for Best Quebec Artist ― World Music in 1997 and a Juno Award for Best Global Album of the Year in 1998. Lhasa illustrated the jacket for this album herself. Its finely written songs touch on themes of love, abandonment and escape, with melodies evoking the sounds of Greek, Peruvian, klezmer, Gypsy and even country music. In the aftermath of her first album’s unexpected triumph, Lhasa left Montreal to live in France for three years, two of them in Marseille. She sang the song “La marée haute “ in La Maison Autre, a show produced by the travelling circus troupe Los Pocheros, in which her three sisters performed as an acrobat, a trapeze artist and a tightrope walker, respectively. Lhasa enjoyed working closely with other artists, but felt less free than when she sang her own songs at her own concerts. Lhasa began recording her second album, The Living Road, in Paris with veteran musicians Vincent Ségal, Cyril Atef and Sébastien Martel, but soon felt pressured by the pace at which they worked. Listening to her gut, she returned to Montreal to continue work on The Living Road with two producers whom she knew well, François Lalonde and Jean Massicotte. The working and recording sessions went on for seven months, and The Living Road was released on 21 October 2003. The Times of London ranked The Living Road third among the best world-music albums of the decade. The album went gold in Canada and in France and led to Lhasa’s receiving the Best World Music Artist of the Americas award from the BBC in 2005. After a European and North American tour, began composing the songs for her new album, entitled simply Lhasa. Having lost her voice several times in the past, she took a new vocal turn, deciding to sing in a higher range that was more comfortable for her. She also recruited a new corps of musicians to work on the album with her. They included harpist Sarah Pagé, bassist Miles Perkin, drummer Andrew Barr and guitarists Joe Grass and Freddy Koella. Singer Patrick Watson helped her to compose the songs, all of them in English. The album was recorded at the analog-based Studio Hotel2tango in Montreal. Lhasa wanted this work to be a palpable exchange of subtle sonorities among musicians, which is why she chose to record it on analog tape at Studio Hotel2tango, all at once and with almost no tweaking. The album was released in Montreal on 20 April 2009. Lhasa then began a tour, but had to cancel her concerts in Iceland and Paris in June, because she was seriously ill. She died of breast cancer several months later, on 1 January 2010, in her apartment in Montreal. A park where Lhasa often walked to seek inspiration, not far from her studio in Montreal’s Mile End neighbourhood, was named after her in 2014. In October 2016, she received the Polaris Heritage Award posthumously for her premier album, La Llonora. In December 2017, a show entitled “La route chante” commemorated the 20th anniversary of the release of this legendary album. Lhasa’s final album, Live in Reykjavik, recorded at a concert in May 2009, was released in November 2017.